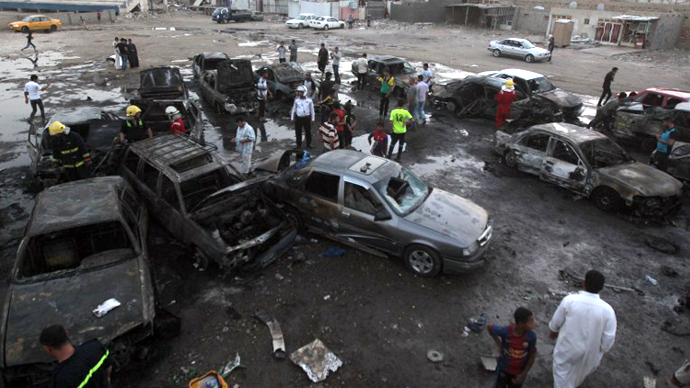 Bomb attacks across Iraq targeting mostly Shiite Muslims have left at least 32 people dead. Concerns are that if attacks carry on, it could bring the country back to a full-scale sectarian war. 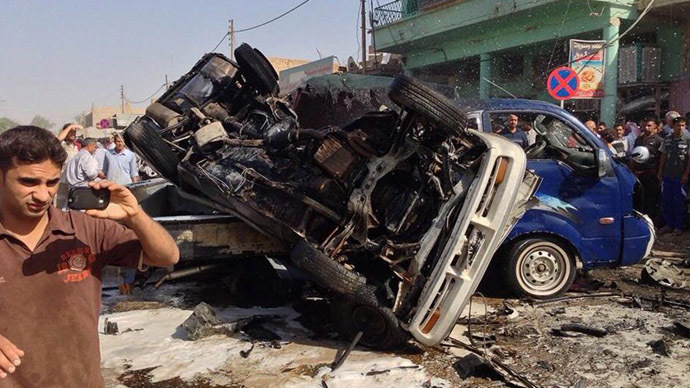 Two car bombs went off in the southern city of Basra, 420km to the southeast of Baghdad, leaving at least five dead and 10 wounded, police pointed out. 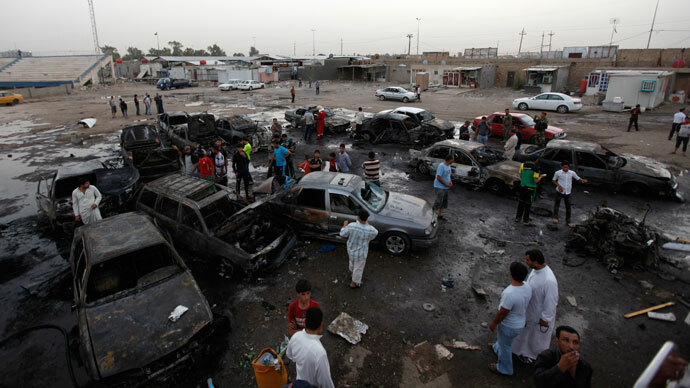 Next, bombings took place in Najaf, Nassiriya, Kut, Hilla, Tuz Khurmato, as well as in Mahmudiya, southern Baghdad. 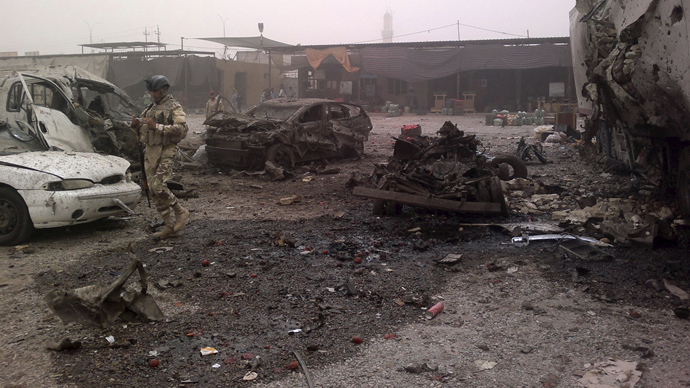 Six police officers were also shot dead on the outskirts of the northern town of Mosul, at a checkpoint. The deadliest blasts took place in and near the central city of Kut, where two parked car bombs targeted an industrial area and a gathering of construction workers, police told AP. 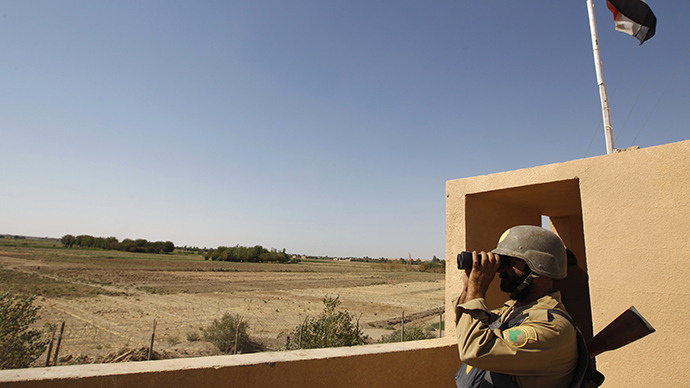 No one has claimed responsibility for the attacks yet, but the country has seen an increase in activity by Sunni Islamist insurgents since the beginning of this year. In May alone, over 1,000 people were murdered in militant attacks, according to the UN estimates – the numbers which make the month the deadliest since the sectarian massacres in 2006 and 2007.